A contemporary twist on an Art Deco design. 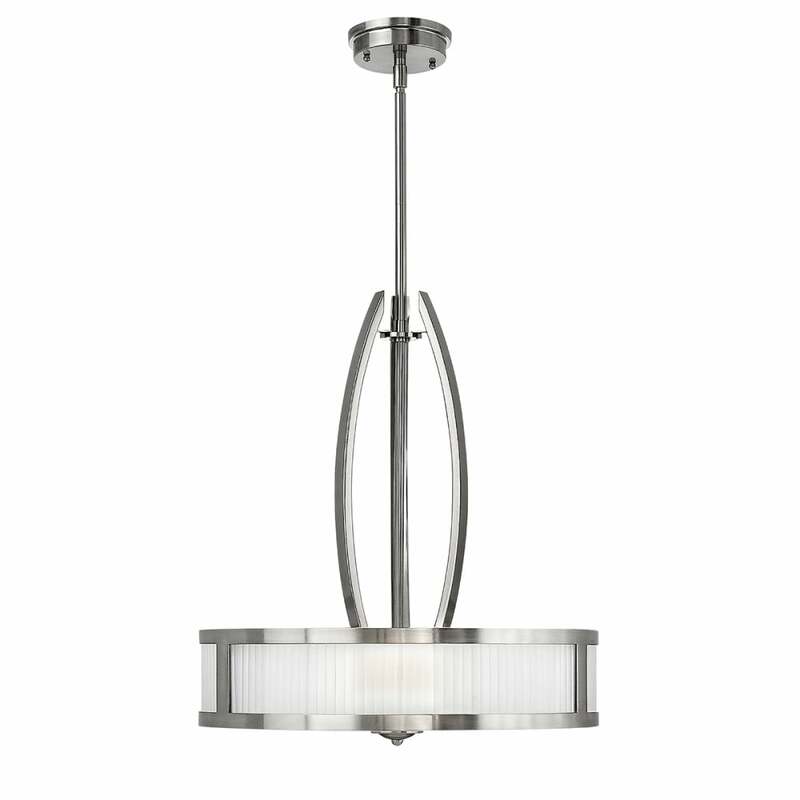 This three light ceiling pendant features a brushed nickel finished frame with a faceted glass surrounding diffuser. Able to be height adjusted at the point of installation this would be great for lighting over a dining room table or kitchen island in a modern setting. It is also suitable for use on a dimmer switch providing the bulbs used are dimmable.